Train2Game Student Gareth Brook has had an excellent start to the year. 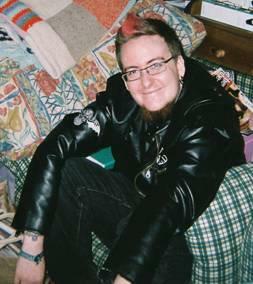 He has had some individual success and team success with Road Hog Games. Gareth Brook from Leeds, West Yorkshire, is a Train2Game student on the games design course who has recently started his own studio, Road Hog Games with fellow Train2Game students, Amy Methven, Terri Mardel, Matthew (Izzy) Greenwood, in addition he has enlisted Justin French to create audio and Jonathan Parker to do extra coding work. They are currently working on a project known as Little Green Dude. Recently, Gareth and Road Hog Games had an article featured in the Yorkshire Post after getting financial support from Microsoft. This article caught the eye of a games industry veteran who is now aiding them in their journey to create Little Green Dude. The industry veteran, who can only be known as Ian, has previously worked on titles such as Pure Football, Academy of Champions and Manhunt 2. He has been in the industry for over 14 years so he is bringing a wealth of knowledge to Road Hog Games. In addition to the success his company is having, Gareth is also making strides in his personal career in to the gaming industry. He has recently uploaded a game template which is being used at an educational facility to aid in the teaching of computer games design and computer science. I wish Gareth and Road Hog Games the very best of luck with everything and I look forward to the games he produces. Train2Game is bringing you more industry jobs this week across all industry sections. Programmers wanted for a AAA Game Studio – Multiple roles! Do you want to work with a AAA Game studio that makes multiplatform games!? This is your chance to work with a Studio that has been making great AAA games for the last 15 years! It is an Award winning studio that has a great Location in the North West! The Studio is mainly looking for gameplay programmers however experience in other types of programming is a massive bonus. Team player with a very strong work ethic and cooperative attitude Previous professional experience with 3D action game development is also a big plus! The studio offers a very competitive salary with paid overtime as well as a bonus scheme! If you or anyone you know is interested and would like further information or wish to apply please contact me Richard Balding via email: richard.balding@amiqus.com. OPM are pleased to be offering an excellent opportunity to join one of the most successful international development and publishing houses at their London studio. The company is looking for a Technical Designer to join their Central London studio. To have a key role in integrating content from various disciplines creating gameplay based on design documentation and helping to improve the toolsets and pipelines. • Create gameplay based on design documentation. • Work with creative designers and programmer to help tweak gameplay systems. • Integrate a variety of content from various disciplines. • Analyse and assess potential risk factors in the design documentation. • Act as a communication point between creative designers programmers and technical artists. • Identify bottlenecks or improvements to the tool-chain and workflow. We are a small talented team of game developers based in the Brighton area. Our recent work includes Monkey Slam on iOS and converting CSR Racing to the Mac. We are growing our studio to work on an exciting AAA mobile game with a well known publisher and are looking for a talented Environment Artist to come and work with us! An excellent understanding of form, structure and silhouette in regard to modelling and composition. Easy going attitude – being flexible with new ideas and most importantly open to direction and iteration. Ability to communicate and work with coders, game and audio designers in a dynamic team environment. Proactive in sharing info and assets. A keen gamer and an appreciation of the visuals and user experience on all platforms from mobile to consoles. Ideally you’ll have at least 2 years game development experience in modelling and texturing environments although we would consider graduates with outstanding portfolios. Strong artistic ability to visualise entire levels and detail with minimal concept art and direction. Solid technical skills to manage assets that fit memory, design, and frame rate limitations. Excellent polygonal modelling skills – able to generate clean and efficient models. Super skills in any of the following 3d apps – Maya, Max, XSI, Modo. Knowledge of ZBrush or Mudbox. All applicants will be asked to produce a portfolio. This role is for a short term contract initially between 5-6 months. We offer a competitive rate and an exciting, tight-knit working environment. Capcom, Beeline is currently seeking a motivated QA Tester to join our London studio.The successful candidate will work with the QA team and the development team to ensure high quality bug free releases of our market leading games. Applicants must be able to start ASAP and will work from our studio in Hammersmith. Train2Game radio got the pleasure of speaking to Dan Rutter about his new studio him and his wife have started, Turret Studios. They have a great game idea and a lot of ambition to get it done. Hello my name is Dan, I am on the Art and Animation course and I live in Teddington. Hi Dan, how you doing? I’m fine Mark, how are you? I’m great thank you buddy! So, tell me a bit about yourself. What’s your story and the past experiences that have shaped your life? OK, I went to university studying Model Making for TV and Film. I came out of that with a degree, I’ve ended up working in the model making field, I’ve done some stuff for film and TV. 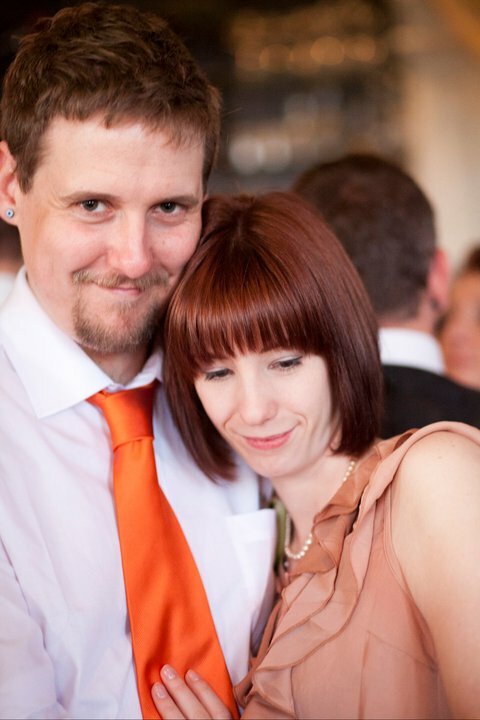 I then moved in to Architecture but through all of that games have been a massive passion of mine and my wife. So I looked at the Train2Game course, applied in May 2 years ago now I think it was. Entered the Game Jam competition in November where we came in the top three, ended up going to the Gadget Show Live in April where we had some pretty good success. I mean, we didn’t win but it was a fantastic experience and I met loads of great people! I’ve been plodding on with the course since then and new year, new resolutions and new goals, decided to branch out and do something different this year. Yeah and what was that? My Wife and I have started our own company, Turret Studios, aiming to make apps for iOS and Android platforms using the Unity 4 engine. Is it just Unity that you’re going to be using? At the moment yes as it is the only engine we can find that enables you to make apps for iOS and Android, giving us as large a spread of the market as possible. We obviously loved using the Unreal Engine during the Game Jam but at the moment it only supports iOS. Whether the Unreal 4 engine will be any different, and I really hope it is because I do really enjoy using that. Yeah, we can. Our first game is called Digital Dojo and it’s kind of cross between Pokémon and Top Trumps. It’s a collectible type of game, the idea is you go around and scan the bar-code of an object and those numbers, from a pool of robot pieces, will generate a robot which you can level up and customize and then you can challenge your friends through Facebook and if you win you get points so you can upgrade your robot further. I would be interested in that one. So is it just you and your wife working on it or have you got other people as well? At the moment it’s just myself and my wife. I have a coder friend who goes by the name of Wurley who is giving some of his spare time to help work it out which is good, but we will be looking at trying to get some other students involved if possible. We actually have two competitions that we are going to launch, one is to design a robot character for the game and the other is to design an environment for them to fight in. All the details will be up on our website and you can download templates to sketch over the top of or Photoshop files with layers if you want to work digitally and then we will put them up on our website and let people do a poll so they vote for their favourites and hopefully those designs will end up in the game. Very nice and what’s the website? Are you a registered company yet or are you still looking in to that? Nope, we are a registered company. That paper work has been done. Yup, so what I have recently done now is I have switched from full time work and have gone back to Free lancing as a Model Maker. So at the minute I am doing a lot of work for other companies just doing some technical drawings and laser cutting drawings just to bring in some cash that way, which enables us in to putting as much time as possible in to this to get it up and running. Very nice and have you seen the new forum section that has gone up as well? I had a browse around last night, I haven’t had a good rummage but I have noticed there have been a few changes. Yeah like there is a new student studio section that you can apply for it and its only student studios that can post on that to get advice and get people talking, so that’s where you can put things like your competition. That sounds fantastic! I’ll be doing that straight after this. Excellent! So did you and your wife meet through gaming or was that something before? My wife and I met at University. I was doing Model Making and she was doing Furniture and Applied Products but we soon found we were sat in front of the Playstation 2 back then playing SSX and all kinds of games which was quite good fun. We even had Little Big Planet wedding toppers at our wedding and our wedding cupcakes had Marshmallow space invaders on the top, so that’s how heavy in to games we are. That sounds beautiful! That sounds like the kind of wedding I would like. It was pretty awesome. Our favour boxes had Marvel Superhero candy sticks and penny sweets in. So is your wife more the arts type like you or does she do other things as well? She is very good with her Admin and things. She works in a job where she isn’t doing what she wants to do but it brings in money. In terms of the company and how she fits in to things, at the moment she is looking at learning coding, so she’s got some books and signed up to some courses as a long term goal and in the short term she is running all of our social media, the website and keeping the books, making sure things balance. Very nice, is she going to get in to Train2Game as well do you think? So finally, what is your greatest ambition? At the moment my greatest ambition is just to get that first app out there, hopefully succesful and what I would really love is to be stood on the train, look over some ones shoulder and see them playing our game. I think that would be fantastic! It’s a great idea, it’s kind of the app equivalent of walking in to a shop and seeing it on a shelf. My pleasure and thank you very much for talking to us today! No trouble at all, cheers! In the top 20 this week not much has changed. 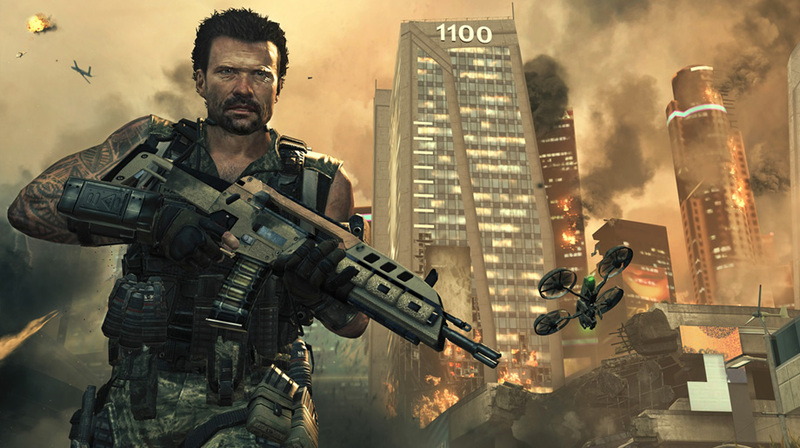 Call Of Duty: Black Ops 2 has got back to number 1 and last weeks number 1, Devil May Cry, has slipped down to number 4. Casual puzzle title Imp Paired is offering Train2Game students exclusive access to a specially determined period of its beta test. In exchange for their time and expertise, students will receive a host of supporting and background information and the opportunity to engage the developers in conversation about the beta test from a developer’s point-of-view. As well as helping to test the game for bugs as part of the beta team, the Imp Paired developers are also looking for assistance with on-going development and managers to interact with the Imp Paired community. There is a genuine opportunity that the students who excel in this stage of Imp Paired’s development could continue to contribute to the ongoing development of this title and future releases from the studio. The Imp Paired beta test is aimed at bringing the game up to release quality over the next few months. Testers will be given a copy of Imp Paired to install on their iOS devices and will be asked to give their feedback on new builds as they arrive throughout the test period. The first builds are bound to be a little rough around the edges, but the developers behind Imp Paired are looking for the sort of people who like finding out where rough edges lie because it will be their feedback that drives the development process during the beta period. As a beta tester you will be instrumental to the development process and you will be able to add the experience to your CV and portfolio. Community managers will be asked to field questions from and join in with the growing community through the Imp Paired website and social media channels, relaying information and questions between developer and audience. As part of the community team students will manage hubs like the Imp Paired Facebook page, contributing posts that offer opportunities for engagement. This puzzle title is best described as a cross between Pairs and Tetris. Where in traditional Pairs games you start with a full board and attempt to empty it, in Imp Paired you start with a half empty board and attempt to prevent it from filling. The task the player is presented with is to keep on top of their workload on a package sorting production line by revealing and matching pairs and sets of patterns on the packages’ reverse sides. New packages keep arriving all the time and the player must prevent their board from filling up or it’s game over. 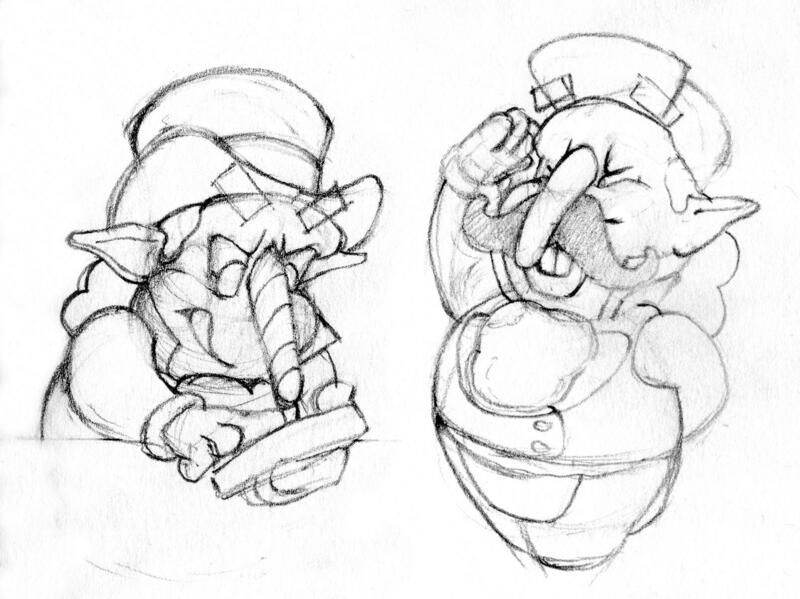 The player is taken through the game by a pair of imp characters who pop-up between levels to instruct, encourage, insult and infuriate the player. The imps seem to be in charge, but as the player gains mastery of the increasing challenge the relationship between the player and the imps begins to unfold. Imp Paired has both single and multiplayer modes and a range of difficulties. It sits together as a smart, humorous and fun experience, which lets newcomers and experts alike enjoy an exciting and challenging puzzle game. Imp Paired will be released for iOS in 2013, with a planned release for Android at a later stage. To sign up for the Imp Paired beta or to join as a community manager email the team at the contact email address below. Man Alive spins gaming as we know it on its head and challenges gamers to find ways to kill the main character to progress through the game. With dark humour and superb artwork this completely individual title is set to get gamers talking. By taking part in the Beta, Train2Game students will be able to work with Global Empire Soft to trouble shoot the title ahead of its full release. The Beta – The Beta testing stage will be the final step towards releasing the game and will be open to students for around two weeks. Those who sign up for the Beta will be asked to play through Man Alive and reply to the global Empire Soft team with their feedback over the period. 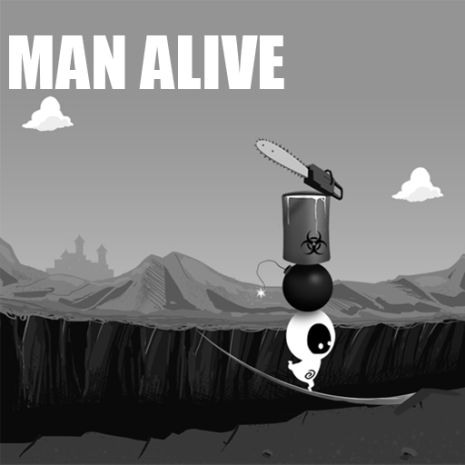 Man Alive – Puzzle-platformer but with a unique twist, Man Alive is a bit like Mario meets Limbo and then falls down some stairs. The goals within Man Alive are very unique, as is the way the player uses the character. The aim of each level is not to survive the onslaught of enemies, but more to avoid being delayed in killing yourself. Some levels you will find yourself using the remains of your previous life to achieve this, such as jumping on your drowned corpse to cross a lake. Global Empire Soft – The Global Empire Soft team is made up of Train2Game students and non-students, including, CEO, Richard Hoffman. Man Alive on Steam – The Global Empire Soft team have also posted Man Alive on to Steam and they are looking for support to get their game on to the platform. If you follow the link below you can vote to help give Man Alive that opportunity. This week’s Train2Game jobs is a special one, Train2Game have teamed up with games industry recruitment agency Aardvark Swift to deliver some top graduate developer position directly to Train2Game students. For those of you that are unaware of Aardvark Swift, they are the premier recruitment agency in the games industry and also recruit across mobile, digital, toys, nursery and licensing. Our client is one of the UK’s Premier Games Developer. They have a stack of awards and an unrivalled sales track record to back their claims up. Based in the North West, the studio regularly features in the top 10 of the Develop 100 “World’s Most Successful Games Studios” (2007, 2008) and consistently produces AAA titles across all formats. They are seeking a Graduate / Junior Programmer to join the Gameplay team. Good A levels preferably maths or physics. A 2:1 degree or above in either computer science or maths/physics degree. Experience programming consoles at a low-level on PS3, 360, Wii or PC. In return the company offer an excellent Salary and Benefits. My client offers a relaxed and creatively charged atmosphere where talent can flourish. They pride themselves above all on the games they create and their appreciation of the people who create them. Due to their recent success they are looking to add to their talented team with the addition of a Graduate Programmer. Writing, debugging and maintaining computer code, often in, but not limited to, C/C++. – Writing code in a human-readable style, using descriptive and accurate class, function and variable names, and comments where necessary. – Clearly and accurately communicating progress on, and problems with, your assigned tasks, and the project in general, to your lead programmer and / or producer. – Carrying out assigned tasks within the time scheduled for them as agreed with your lead programmer / producer. Ensuring that your work integrates well with the work of other team members, and functions correctly as a part of the whole project. – Producing good quality human readable code as noted above. Taking an active interest in a project so as to ensure a smooth and error free development process. – The improvement of the quality of the content required for Team 17 software, including but not limited to iterative play testing, reporting problems and addressing any quality shortfalls as requested. Our client has been making games for more than 15 years. 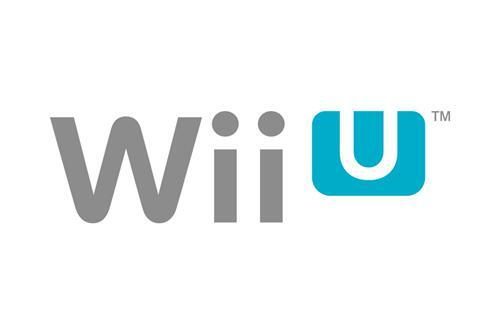 They now employ more than 150 people and have released games on major platforms like PS3, Xbox 360, Wii and Nintendo DS. They also work with some Great IP’s and a variety of game types. They are seeking a Tools Programmer or Graduate Tools Programmer to join their team developing technology at the core of all their productions, from AAA games on every major console and handheld device (over 100 million units sold to date), to their award-winning TV shows, broadcast around the world. If successful, you will play a significant part in shaping the way art, animation and designs are produced across new projects, as well as keeping our technology up to date with the state of the art in the industry. Our client, the developer of award winning titles, are seeking highly skilled graduate to join their programming team as a Gameplay programmer working on a AAA title for next gen. They currently have several exciting cutting-edge projects encompassing a range of genres, and are recruiting a mix of programmers for various project team areas such as: networking, 3D graphics, shaders, animation, physics, artificial intelligence, as well as general gameplay programming. They have a reputation for technological innovation and their programmers get involved in all aspects of system architecture, design and implementation, bringing an extremely high standard of professionalism to the development of all their games, and fully contribute to a dynamic, creative and fun environment, working with advanced technology on the leading games consoles. Either a good degree, or solid track record, in Computer Science, Maths or Physics. Possible specialisation in one of the following fields : networking, 3D graphics and shaders, animation, physics, AI. Industry experience is not essential, but passion and enthusiasm are. Advanced understanding of C++ and object oriented programming. Well organized, and capable of code design. Experience of DirectX Graphics, console toolchains, GUI APIs, LUA scripts, or ASM are also useful. Familiarity with Xbox 360/Playstation 3 development/Networking/Multi-Threading is a plus. They have in-house platform abstraction libraries, using a PC development environment to target the major consoles. Game programmers write platform independent game code using our in-house game engine and technology, while engine and tool teams work on company-wide technology and lower level target specific, optimized code. This is the London studio of a successful UK independent developer. They enjoy excellent relationships with a number of high profile publishers and company growth means they are now looking for Programmers who are generalists who are happy programming in a number of areas. Bethesda Softworks and ZeniMax Online Studios today announced that beta signups are now open for The Elder Scrolls Online at ElderScrollsOnline.com. A good opportunity for Train2Game students to practise their testing skills. Interested gamers simply have to go to the website and register for a chance to play. Selected beta registrants will be granted early access to beta test the game. They will be among the first to experience this epic world with others in one of 2013’s most highly-anticipated releases. Timing and details of the start of playtests will be provided at a later date to those who register. The Elder Scrolls Online brings the award-winning Elder Scrolls experience online for the first time. 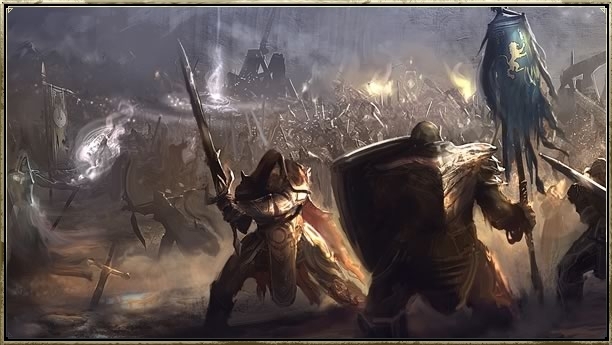 Using ZeniMax Online’s Megaserver technology, players will join one connected world with a built in social network that lets them stay up-to-date with everything their friends are doing. Megaserver technology avoids the hassle of shard selection and makes The Elder Scrolls Online one of the most socially enabled games ever created. Whether playing alone, or with hundreds of friends, players can develop their own style of play as they embark upon an epic quest across Tamriel. The Elder Scrolls Online is the first Elder Scrolls title to be played online after nearly 20 years of these best-selling, award-winning fantasy role-playing games. The Elder Scrolls V: Skyrim is the most recent chapter of the Elder Scrolls story. Skyrim, developed by Bethesda Game Studios, was released in November 2011 and enjoyed worldwide critical and commercial success. As the follow-up to the 2002 Role-Playing Game of the Year, The Elder Scrolls III: Morrowind, and the 2006 Game of the Year, The Elder Scrolls IV: Oblivion, Skyrim earned hundreds of ‘Game of the Year’ awards and sold over 10 million copies in the first month. The Elder Scrolls Online is slated for release in 2013 and is being developed for the PC and the Mac by ZeniMax Online Studios.